The academy was opened in the centre of Barcelona in 1994, and since then we have been teaching courses of the highest quality. The groups are divided by age and level, so the the rhythm of the courses is optimum for every student. 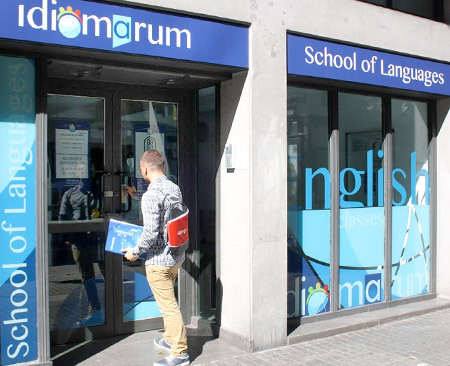 Exam preparation courses of 40 hours Cambridge English Language Assessment. Our teaching staff is formed of professional, qualified native English teachers. The classes we teach are dynamic and fun, with practical and useful educational goals. Class sizes are small, and are organized by age and level. We use a communicative methodology, based on improving the linguistic skills of reading, writing, listening and speaking by using them in the classroom. If you need English for work, studying, travelling, or simply as a hobby, we will have a course adapted for your needs. A1, A2, B1, B2, C1, C2. The classes can be in the morning, midday, the afternoon, early or late in the evening, or on Saturday mornings. Accredited Centre of the Modern Language School of the university of Barcelona. 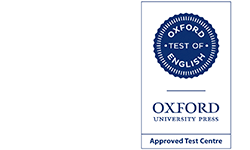 Oxford Test of English Examination Centre.